A pair of con artists working on their latest scam. A stripper dreaming of the life of a factory worker. A factory worker dreaming of the life of a stripper. A neighborhood cat in search of a free meal. An ex-ballerina trying to find the courage to face yet another day. 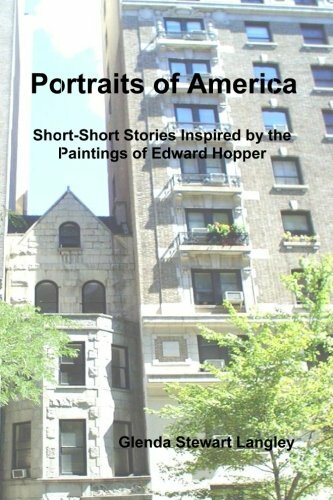 These are just a few of the characters who come to life in this collection of short -short stories inspired by the paintings of Edward Hopper. Glenda Stewart-Langley might well be called a regionalist of no set region. Her work reflects the time that she has spent in South Dakota, South Texas, South America, and New Mexico. In addition, she is fascinated by the women of the Old Testament, and they have been known to appear in her work as well. Her passions in life include - but are not limited to - women's rights; her husband, Chris; and Chilean wines.